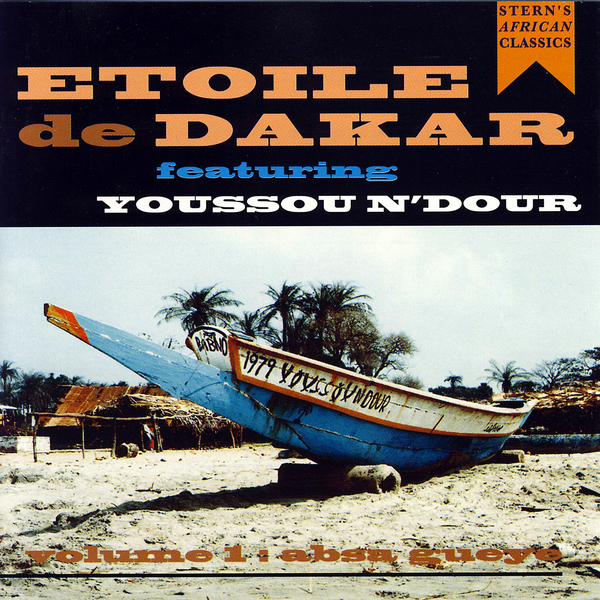 A first volume of work from Yousou N'Dour's early band Etoile De Dakar, who formed in 1979 when the Sengalese singer was just twenty years old. There's a strong Latin influence on these early recordings, with elaborate percussion arrangements, jazzy horns and the still fledgling voice of N'Dour. In fact, it's the rawness of this music that's sure to appeal, giving some indication of the creative roots from which one of Africa's biggest ever artists sprouted, and it's all a far cry from the polished '80s work that ultimately culminated in his huge crossover hit '7 Seconds' with Neneh Cherry. Instead, this early Etoile De Dakar music contextualises N'Dour's work within the Afro-Cuban melting pot that was '70s and '80s Senegalese pop, and together with the proceeding volumes in the Etoile De Dakar series offers a considerable insight into the creative trajectory of one of world music's brightest stars.